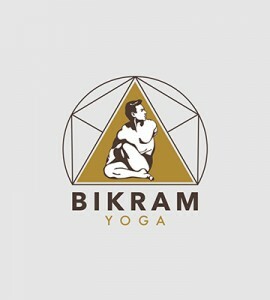 The Bikram Yoga phenomenon has exploded over the last ten years with more than 16,000 teachers from at least 50 countries and all walks of life achieving certification and there is no end in sight! Requirements for attendance include a continuous Bikram yoga practice of at least six months and the ability to take two classes per day during training. Between yoga classes you will attend lectures on yoga technique and history by Bikram, Rajashree, principal instructor Emmy Cleaves and other senior teachers. You will deepen your training with classes in anatomy, as well as many lectures by experts from related fields such as physiology and osteopathy. Upon graduation, you will possess more than enough knowledge to provide students with a professional and consistent Bikram yoga class. Many certified teachers travel the world teaching at any of the studios, which often provide free accommodations to visiting teachers. Many people attend the training with the initial goal of becoming a teacher then decide, after a period of growth and development, to seek a greater challenge – that of opening of their own studio. Studio owners are vanguards of cutting-edge health in their respective communities, while at the same providers of economic stimulus as proprietors of small businesses. There are many marketing methods used by studios including inviting Bikram, Rajashree and other senior teachers to lead a seminar, boosting attendance while helping students to deepen their understanding and practice. We will guide you step-by-step on how to complete the registration process for the Bikram Yoga Teacher Training. For any questions about registration, please contact Shelly at shelly@bikramyoga.com or teachertraining@bikramyoga.com.